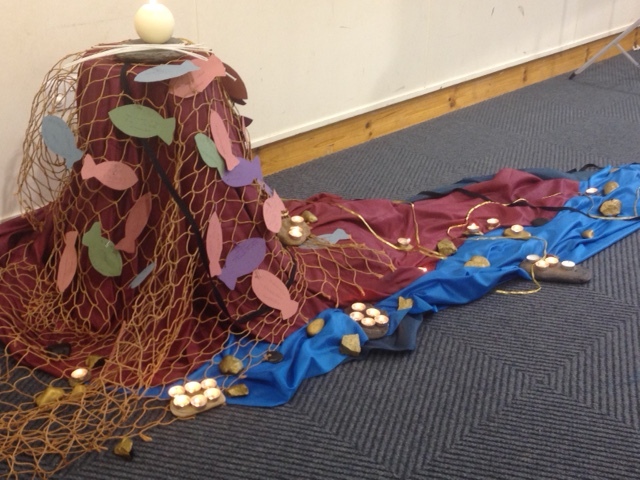 Today we gathered people involved in every aspect of Casting the Net – with members of our Diocesan Committees – for a Review Day. We constantly review our progress. I think it is important now and again to have the kind of meeting at which new ideas can float and future possibilities can become ‘things which we talk about’ before they acquire the status of formal agenda items anywhere. Today was encouraging – encouraging because it was an opportunity for people to hear stories of what is happening in our congregations. We heard about work with children, about community involvement, about evangelism – and what was noticeable was the constant presence of support in prayer for the work being undertaken. I was encouraged by another constant …. We seem now to have reached the point where people understand that Casting the Net isn’t a rigidly-defined and centrally-directed programme. It is open to being shaped for its context. Parts of it are resourced and encouraged by the diocese. But much of it arises from local initiative. I felt very much the same ,as I said to Dom going home CTN now seems very comfortable in its own skin !!! !